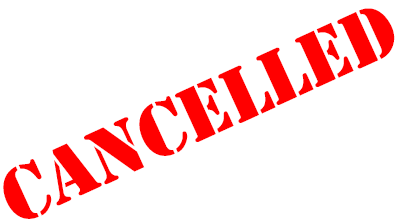 Following many enquires it is with regret that we would like to confirm that the biennial Sywell Airshow will not be taking place in 2016. We would like to take this opportunity to thank all those that have supported us over the years and helped us raise many thousands of pounds for the Air Ambulance and other deserving Charities. Hopefully Sywell Airshow may return at some point in the future but in the mean time we hope that there will be a smaller, more intimate, event in August. 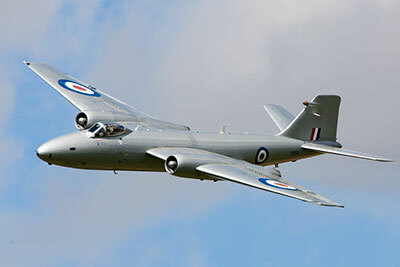 Keep an eye on the Sywell Aerodrome website for details. With best wishes from the Sywell Airshow Team. 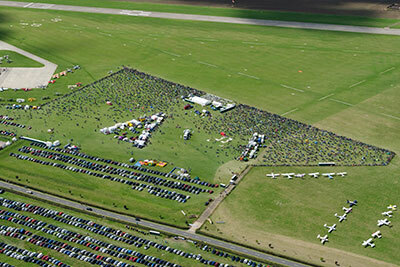 A record number of 10,000 people attended the Sywell Great War Airshow, held on the 17th August 2014, which for the first time ever, was sold out in advance. The Airshow suffered somewhat from unseasonable weather which unfortunately grounded the two Lancaster bombers due to appear, however the majority of display acts took to the skies in often very tricky conditions to thrill the public with aerobatics and more. From Mustang and Spitfire fighters, Canberra and Gnat jets to 1930s biplanes and even a glider, the show had something for everyone. It began with an aircraft Poppy drop adjacent to re-enactors in WW1 uniforms, followed by a minute's silence to remember those who lost their lives in The Great War. An airshow spokesman said "Our pilots displayed superbly despite adverse wind conditions. We were all disappointed that the Lancasters could not attend, but everyone respected the decision not to risk such grand old ladies in marginal conditions. 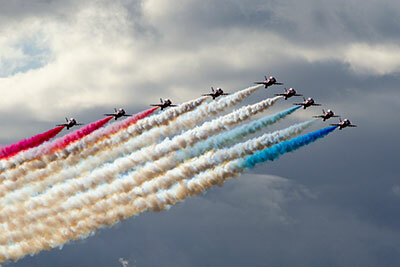 The crowd were thrilled with this year's lineup and the Red Arrows were the icing on the cake. For many, however, our simple act of Remembrance brought a tear to their eye. We welcomed the largest ever numbers of visitors to Sywell having been amazed that we sold out in advance - and are very grateful for everyones' support - thank you"
The biennial show is organised entirely by volunteers and is held to raise funds for the Warwickshire & Northamptonshire Air Ambulance and other local charities. The show is on course to produce another record donation!